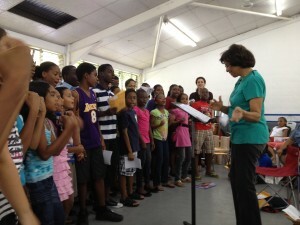 Introducing the Marionettes’ Children’s Choir! Over the years, many children’s and school choirs have guested at Marionettes concerts. 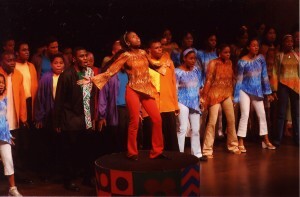 In 1995, the Youth Chorale was formed to give young performers ages 12–26 a serious musical outlet. 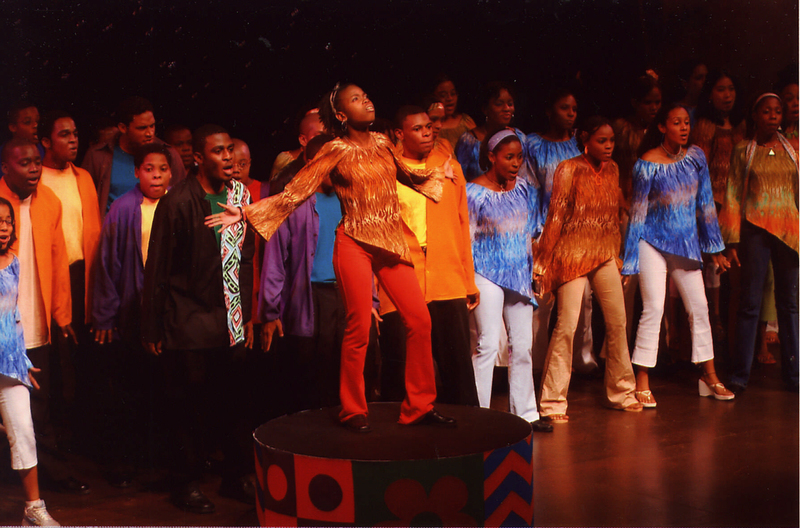 Seventeen years later, the Marionettes now introduce their new Children’s Choir: 50-odd talented youngsters, among them Music Festival, Panorama and Schools Soca Monarch winners. 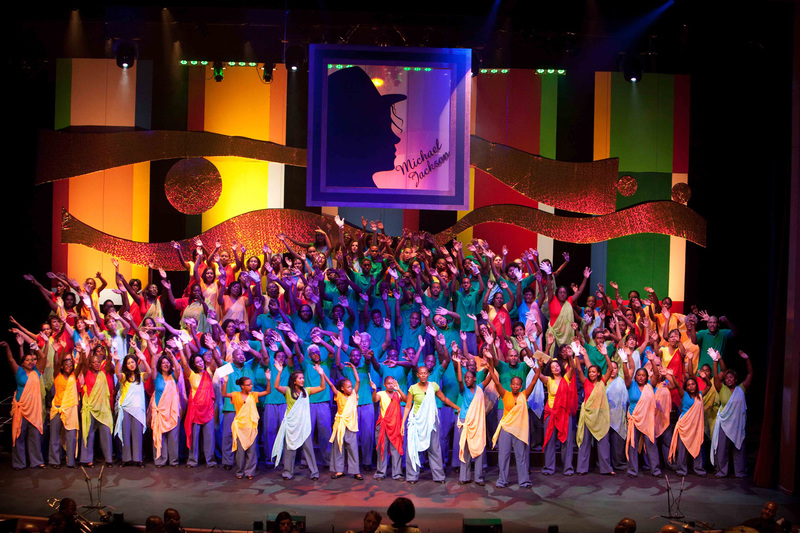 They make their first public appearance with their adult and Youth Chorale family this Saturday 14th and Sunday 15th July in A Gift to the Nation II at Queen’s Hall. Twenty-five years after the Marionettes’ first offering of A Gift to the Nation – commemorating the 25th anniversary of Trinidad & Tobago’s independence in 1987 – the Marionettes commemorates T&T’s Jubilee with A Gift to the Nation II. The programme features the exciting Caribbean premiere of Karl Jenkins’ new contemporary classic, The Armed Man (A Mass for Peace). Complementing this one-hour, multimedia and multicultural work is a showcase of some of our nation’s most talented singers, as the group’s Music Festival winners take centre stage. 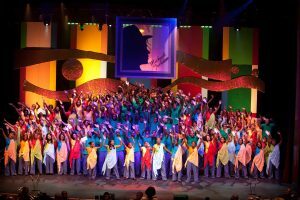 There will also be a tribute to a legend lost too soon, the one and only Whitney Houston – and, of course, the debut of the dynamic new Children’s Choir, including the Marionettes’ youngest ever member at a precocious six years old. After several weeks of rigorous auditioning around Easter, the Marionettes welcomed these 50-odd new young singers, prompting them to form a third choir – this time a Children’s Choir within their Youth Chorale. Marionettes’ conductor and Artistic Director Gretta Taylor is often asked whether a large choir of spirited youngsters isn’t something of a handful, even for a teacher with decades of experience. “They are generally well-mannered and extremely talented, bursting with enthusiasm and good humour,” she explains. 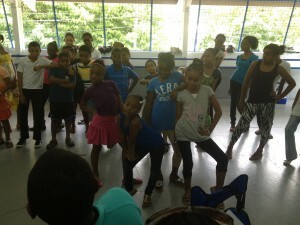 “It’s is a place where they can find new friends, new mentors, and an outlet for their talents. They can find a community and family here that they may not otherwise find at home or at school, no matter their background,” she says. This year also marks 40 years of partnership between the Marionettes and primary sponsors bpTT. “The Marionettes has become an institution in Trinidad and Tobago by using music as a force for positive change. I always look forward to their concerts because they reinforce the idea that music can bring together cultures and generations. One of the more interesting points about the Marionettes is their focus on developing young artists who can carry on this tradition,” explained bpTT President and CEO Norm Christie.